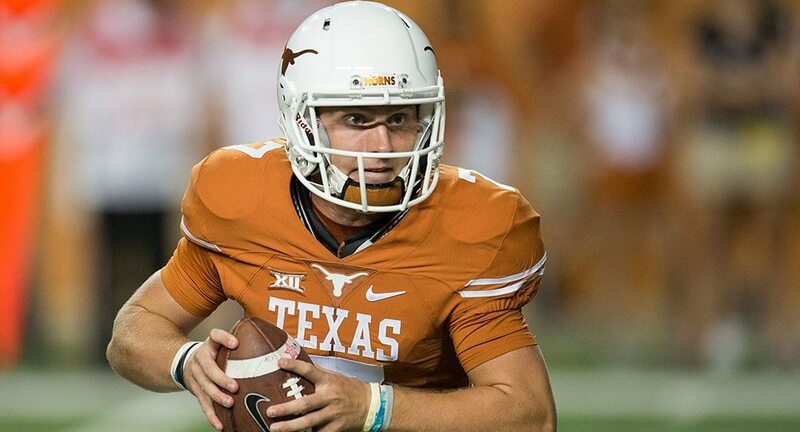 Former Texas Football quarterback Shane Buechele is bound for SMU, where he looks to be the starting quarterback for the Mustangs close to his home (photo courtesy of texassports.com). AUSTIN — Former Texas quarterback Shane Buechele is bound for SMU. The junior signal caller opted to transfer from Texas earlier this month, and going north to play for the Mustangs seemed an obvious choice for the Arlington native. Buechele, who played high school ball at Arlington Lamar has shown he can lead a team as its starting quarterback when he was under center as a freshman in 2016. And he is a steady and supportive teammate, as he proved this year while being the backup to sophomore Sam Ehlinger. Slated to graduate after this semester, Buechele decided to not practice with the Texas Football squad this spring because his comfort level was not great with trying to go through (the transferring process),” according to Texas head coach Tom Herman. As a graduate transfer, Buechele will be available to play for SMU this upcoming football season. Ehlinger chimed in to offer thanks and praise to Buechele as a mentor and friend. And the classy Buechele replied in kind. Buechele will have two years of eligibility remaining after only playing in two games this season, enabling him to have this year be a redshirt season. He still stands at 10th all-time in Texas Football history in passing yards at 4,636, along with 30 touchdown passes. A class act through and through, Buechele thanked Longhorn Nation as well as former coaches Charlie Strong, Tom Herman, both of their coaching staffs as well as his teammates.